In the first act, a reality TV star was elected to the highest office. The former California governor taped his first season of the reality show months ago. On Monday night, just weeks before Trump's inauguration, Schwarzenegger's "Apprentice" finally premiered on NBC. "The New Celebrity Apprentice" arrived to curiosity and some Trumpian controversy, almost 13 years to the day after Trump starred on the very first episode of the reality TV franchise. Trump's catch-phrase for dismissing contestants — "you're fired" — was retired. When Schwarzenegger taped the new season, he recorded several different options. 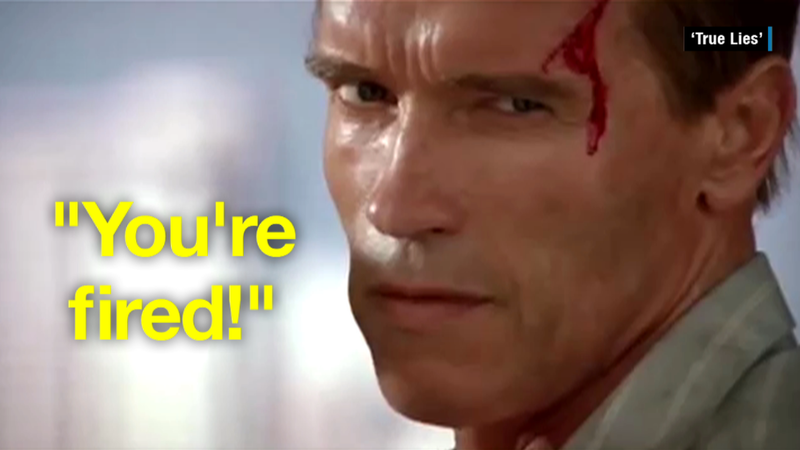 The producers ultimately went with "you're terminated," a call-back to Schwarzenegger's 1984 movie, "The Terminator." Schwarzenegger worked in a second movie reference, "get to the chopper," from 1987's "Predator." Ratings for the premiere episode will be available on Tuesday. Way back in 2004, the very first episode of Trump's "Apprentice" scored 18.5 million viewers, making it an immediate hit for NBC and an enormous brand booster for Trump. Viewers still saw Trump's name pretty prominently on Monday night — he was listed as an executive producer of the show along with Schwarzenegger and the "Apprentice" mastermind Mark Burnett.